Edman Tsang is a Professor of Solid State Chemistry and Heterogeneous Catalysis. 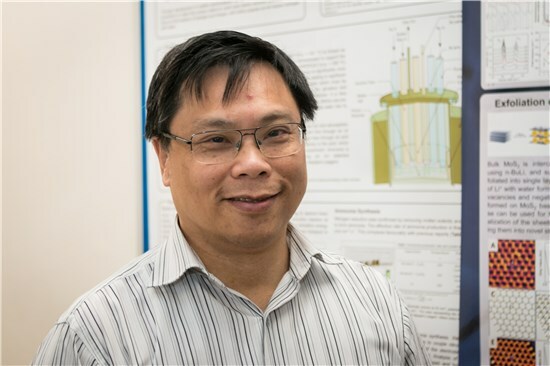 The Tsang group research is on both fundamental and applied aspects in Novel Chemistry Materials and Catalysis. Our work involves synthesis, testing and characterisation of novel solid state materials for a wide range of applications particularly in the areas of catalysis, sensor and bio-medicine. Uses of well-defined single atoms, layer structures or nanomaterials as building blocks for synthesis of functional materials including development of novel core-shell nanoparticles, 2-D layers of controllable composition, size and morphology as new nanocatalysts; hollow carbon nanotubes as a nano-scale test tube for separation, storage, magnetic and electronic applications; immobilized biomolecules on nanoparticles as new sensors, etc.